When I recently had dinner at Scarpetta, a top-rated Italian restaurant in NYC, I discovered how pancetta or Italian bacon can be versatile. The restaurant has several dishes that use pancetta as the main ingredient. I am used to seeing it in burgers and pasta, but not in other foods. With that, in the rest of this post, I will give you a quick rundown on some of the best ways to use pancetta in a dish. In less than 30 minutes, you can make this main course, which will surely be as tasty as what you can order in some of the best restaurants in Nomad. It will make a healthy home-cooked meal since it uses chicken breast. You can choose the fillings based on what you prefer. Blue cheese and cranberry will be good if you want to make it healthy. Wrap the chicken in pancetta before baking to fully maximize the flavor of the cured bacon. 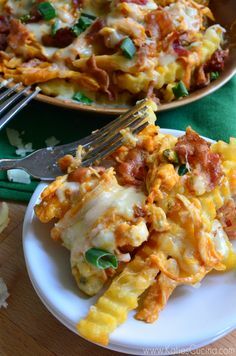 If you are looking for healthy and tasty recipes that you can prepare using pancetta, this is one that should be on the top of the list. It gives the toast a twist, making it a more exciting meal to have to start your day. Brush the bread with olive oil, put the pancetta on the top, add spinach, and top it off with a fried egg. Sprinkle with salt and pepper to taste. For all of you who love asparagus, this is a simple recipe that will elevate its flavor and make the vegetable more mouthwatering. For people who hate asparagus, adding pancetta is a great way to love it. The thin slices of pancetta will add saltiness to the asparagus, which will also improve the texture in every bite. You can also use pancetta in making a soup. For this recipe, the first thing that you have to do is to put a chicken stock in a saucepan and wait until it simmers. Add the peas and wait until it becomes soft. Add salt and tarragon. Transfer it in a food processor and blend until the desired consistency is reached. Heat the pancetta until it is crispy on the outside. Put the soup in a pan on low heat and place the pancetta on the top. Mix, serve, and enjoy the soup while it is still hot. If you like seafood, this recipe will be great to incorporate meat into your food. Shellfish and pork, when mixed together, will surely lead to an explosion of flavors in your mouth. They are perfectly-balanced. It gives the clams a salty-sweet flavor. Add lots of onions, garlic, and lemon zest for the flavor to come out of the dish. Long live pancetta! 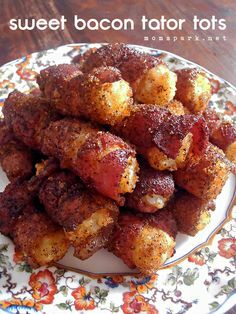 Take note of the tips that have been mentioned above and use bacon to spice up your food in more ways than one! Not everyone has what it takes to make and serve the best cocktails in Atlanta. After all, being a bartender is a job that is reserved for those who have what it takes to be the one behind the bar. It is not enough that you study how to become a bartender. It is also important that you have the essential traits that will make you good in what you are doing, including those that will be briefly mentioned in the rest of this post. Whenever I am drinking with my friends in my go-to cocktail club in Atlanta, which is the Regent Cocktail Club, I am fascinated by how bartenders can take all the orders and not mess up! They have a good memory, which is one of the most important traits for a bartender. You need to have an excellent short-term memory for remembering the orders that you need to prepare and long-term memory to know the recipes for the drinks that you will be serving to your patrons. To become a good bartender, you need to stay on the top of everything. By being attentive, you can be assured of doing the right things on your job. When you are working behind the bar, you will have to constantly take orders from the wait staff and customers. During peak hours, you will have a long list of drinks to prepare. Some guests might also try to strike up a conversation. With everything that has been going on, you have to be attentive to make the perfect drink. A good bartender is a good communicator. To be a good communicator, you first need to become a good listener. With this, as a bartender, you also need to become an active listener. You should speak clearly and your tone should be positive. No matter how irate and stressed you are, people at the bar should never notice this through the way that you are communicating with them. It is also important for bartenders to stay organized, especially when it comes to the tools that they are using and their work area. A bartender works in an open setting. Hence, customers can see the way you prepare drinks. If you are disorganized, you will have a hard time handling the influx of the orders during peak hours of operation. By being organized, you will also be better at multitasking. To become a good bartender, you need to be prepared to confront a stressful work environment. Especially during weekends and peak hours of operations, you will be bombarded with orders and complaints left and right. This becomes more stressful when you are working in a place with loud music or if the bar is poorly lit. despite everything that is happening around you, it is important that you stay calm and always wear a big smile on your face. If you ever dream of building a successful career in bartending, make sure that you have the traits that have been mentioned above! If you having trouble deciding which part of the British culinary landscape to visit, you could do a lot worse than visiting the North West of England. Some of the food that we all grew up with or that Britain is famous for originates from this part of the country. We are talking about things like the Cumberland sausage, Eccles cakes and Blackpool Rock, to name but a few. But could you really take this guide to the North West’s finest food festivals seriously if we didn’t give a shout out to Cheshire and their take on crumbly cheese or the Lancashire hotpot, which somehow manages to be humble and magnificent all at once? Whether you are holidaying in the north west and just looking for a fun day out or are specifically heading northwards for a foodie event, we have you covered. In the following post we will highlight some of the notable events from the fully packed calendar of food festivals taking place in this neck of the woods. From the 1st to the 3rd of June at Victoria Park in Southport, you can enjoy a memorable weekend celebration of food and drink. One of the biggest draws for people to this event every year is the fact that entry is completely free. There is a large producer’s market where you are free to try some samplers and buy directly from the stallholders and there will be mouthwatering and inspirational cookery demonstrations by chefs. 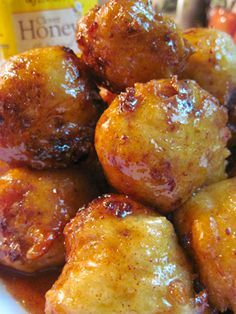 However, if you are looking to enjoy the exploits of others in the kitchen, there is plenty of street food stalls to enjoy until you are full and satisfied. Although veganism is not necessarily for everyone – we know it is a very popular dietary and lifestyle choice, so we felt it was worthwhile highlighting this interesting event in Ormskirk. Local businesses will be on hand to dish up their favourite vegan delights, while there will also be cooking demonstrations and other showcases of ethical produce and goods. As this event has been set-up by the Festival of Ideas and has the theme this year of Equalities, you can expect riveting discussions and talks regarding theme of Individual Equalities and Modern Feminism. While it may not be the beer and food event you are used to, if you are looking for something that gives you food to eat and food for thought (as the name suggests) don’t be too hasty to pass on this weekend. Are you an Italian food lover? Does the idea of a big portion of hot and steamy layers of sugo, white sauce, cheese, mince and pasta that make up a lasagne fill you with delight? Or perhaps you just love one or two or maybe even five slices of pizza with your favourite base and toppings? Festa Italiana in Manchester looks like it will be the ideal place for you to be on the weekend of the 13th to the 15th of July this year. This event is hosted by Manchester’s Italian community and transforms the Cathedral Gardens into its very own Festival Piazza where all of the main festivities will take place. While the focus is firmly on Italian food and drink, that strong festive attitude to social gatherings (if you have ever been to an Italian wedding or other event, you will know exactly what we mean) will be present. Look out for the traditional produce market, live demonstrations and workshops that aim to teach you how to make pasta like Nonna did. All this and lots of tasty street food, a cocktail bar, live music, face painting for children and a 50 metre pizza. Yes, you read that right! If this has whet your appetite, check out some more Manchester ones here. It didn’t feel right to talk about the food festival delights that the North West has to offer without noting at least one in Liverpool. The Liverpool Food and Drink Festival takes place within the delightful Sefton Park, that consists of 235 acres of gorgeous scenery, as well as an iconic bandstand, waterfalls, lake, Gothic drinking fountains and a dome conservatory. For one weekend here you will find live music, fun activities and lots and lots of food stalls. Like many other food festivals on the calendar there will be exciting live demonstrations from celebrity chefs and there is even a children’s village for the little ones. Although there are many more we could have mentioned, the above gives you an indication just of the wide spectrum of food and drink orientated events that take place throughout the year in the North West of England. 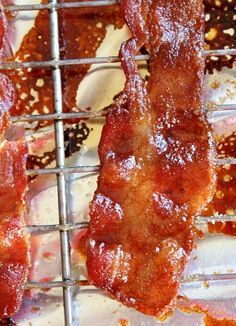 What Are Non-Pork-Based Types of Bacon that are Just as Tasty? Bacon is delicious. That’s a given. If you didn’t agree then you probably wouldn’t be on this page right now. 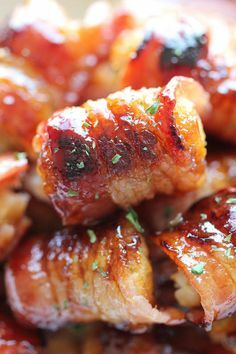 It’s even hard to get sick of bacon because it’s so versatile – you can eat it plain, wrap it around just about anything, and even dry in up into little bits to add some flavor to your favorite dishes. Here, we’re not trying to discredit pork-based bacon. Instead we want to offer some alternative options for those of you who’d like to expand your bacon repertoire. You’re probably familiar with turkey bacon, if you haven’t already tried it yourself. Turkey bacon provides a lot of the same, full flavor as pork bacon but without all the fat. So, for those of you who love bacon but are health conscious, turkey bacon may be something you want to check out. Turkey bacon is available in most mainstream grocery stores, as it’s increased in popularity over the past years. The best way to get turkey bacon, though, is to hunt it yourself and have someone make it for you to your exact specifications. Hunting gives you the guarantee that the animal was killed in a humane way and not raised en masse on some farm then slaughtered on an assembly line. Moreover, working with a meat specialist (to find one, just ask at your local specialty meat shop) gives you the autonomy to make the bacon to fit your exact liking. Okay, this is only a partial alternative to traditional bacon in that venison bacon typically contains pork meat as well as the deer meat, on which it’s based off of. If you at all like game meat and a bit more spice than pork-based bacon then venison bacon is a must-try for you. It’s absolutely delicious. While you won’t be able to find venison bacon as readily as pork and/or turkey bacon, it’s not as rare as you may think. Most specialty meat shops will carry some sort of venison, and typically carry some sort of venison bacon. However, because the taste is a bit of an acquired one, one of the more popular ways to get the meat is typically from deer hunting. Along with birds, deer seem to be the preferred game when it comes to hunting. And unfortunately, not all of the people who kill deer utilize the whole animal. But that makes it easier for you to acquire the meat, especially if you’re not ready to go hunting yourself. A quick Google search for “where to buy raw deer meat” near me should do the trick (that is, if you don’t already know someone who hunts deer). Cooking food in a sous vide machine guarantees great results, which is why more home cooks are snapping them up. Whether it’s down to not having the necessary equipment at home or not knowing much about the technique, cooking something sous vide is something that many people haven’t experimented with. It’s got a reputation as a cooking method that’s solely reserved for professional chefs, but in recent years that has changed. Home cooks can get hold of sous vide machines that they can cook with at home, and there is wealth of recipes out there for them to try. Curious and looking to add to your culinary skills? Here’s everything you need to know about creating delicious sous vide meals for you and your family. For the uninitiated, here’s how the sous vide method of cooking works. The food is sealed in an airtight plastic bag, and then placed in a water bath or steam environment. It’s then cooked for a lot longer than you would cook it in an oven – usually around one to seven hours depending on what kind of food it is. Sometimes it can be cooked for over a day! This long cooking time doesn’t result in dry, overcooked food though. The tightly sealed bag prevents the outside from overcooking, and also stops any moisture from escaping. The result? Food that’s evenly cooked and full of flavour. There are many more sous vide machines available now than say, ten years ago. As the cost of sous vide equipment has fallen, more and more people have been able to experiment with this technique in the comfort of their own kitchens. For beginners, The Compagno is a great option. Made up of the Uno sous vide controller and the Paiolo heated pot, it’s the complete starter kit for someone looking to experiment with sous vide. Another fantastic piece is the Primo sous vide water bath, which comes in different colours, making it the perfect option for cooks who like everything to look just so on and off the plate. There are lots of dishes that you can create with the help of a sous vide machine. When you start looking for sous vide recipes, you’ll notice how a lot of them are just everyday favourites. Cooking those meals in a sous vide machine elevates them to another level though. They become much more flavoursome, and you’ll know that they’re going to be perfectly cooked. This takes the worry out of cooking meat and fish, and you can serve food to your guests with complete confidence. For a real showstopper, go for a rack of lamb and a selection of delicious vegetables – and do some research on how a sous vide machine can help you to create cocktails too! If you do invest in a sous vide machine, you’ll wonder how you ever cooked without it! You prepare the food, pop it in the bag, place it in the machine and then you can forget about it for a few hours. For home cooks with busy lives, it’s a godsend. When it’s done cooking, you can dish up food that’s perfectly cooked every time. Whether you’re cooking family dinners or extravagant desserts, you’ll be serving up food that’s restaurant worthy! It is completely natural for every parent to have concerns about not only what kind of ingredients are going into their baby’s food, but also the quality of those ingredients. The biggest challenge for these parents, it seems, is finding sufficient answers to help them understand just what their youngster is eating. If this sounds like you, and instead of trusting the baby food company you are looking to make your own baby food at home, this is the article for you! Below you will find a general guideline which you can use to make your own baby food right in your home kitchen. When reading the guide, it’s important to remember that don’t have to use the ingredients on this list if you have your own preferred ingredients you would like to use. Once all of the pieces are soft enough for you to squeeze, place them all in the blender/mixer and churn them into a puree of your chosen consistency. Divide the mixture into separate small containers which you can place and store in your refrigerator or freezer. If you are struggling to find enough of the same size container to divide your mixture, check out the range of clip-lid containers from the Groupon Coupons page for Babies R Us to take care of your storage needs. These are the perfect size to carry around in your bag or to travel long distances. When choosing the consistency, be sure to take into account your child’s eating abilities. As they grow, puree the mixture less and less to help introduce them to eating solid foods. This can be a great and easy transition for children to undertake. One of the greatest benefits to making your own baby food is that you can cost effectively create a bulk supply. For example, if you are planning to take a road trip to visit your relatives, it can be expensive to travel with a large number of individual baby food jars. However, with this method, you can easily make a large batch of baby food and separate it how you will use it. For example, you can pre-fill smaller containers for the journey while splitting the majority of the mixture between larger containers that you can store in the refrigerator when you arrive and spoon out your portions into a bowl. Believe it or not, it’s that easy! Making baby food is much simpler than you thought it was and comes with the benefit of not only knowing exactly what your child is eating but being able to choose the exact ingredients which go into making their food. Running a restaurant or café is a daunting business, but one that can be very lucrative if you have it all running smoothly. As you grow, so your business needs will change, and this extends to how you take payments. What are we talking about? Well, specifically, credit and debit card payments, which are by far the most popular method of payment in restaurants today. Why should this be? Quite simply, it’s the most convenient method of payment, and many millions of people carry a credit or debit card in the USA for this reason. Are you already taking card payments? If so, you might want to look at the new breed of credit card terminal for restaurants. If not, the chances are you are losing out on plenty of potential extra business. The simple fact is that people like to use cards, especially in restaurants and similar establishments. It’s easier, and quicker, for them and for you, and it means they don’t have to carry wads of cash with them. With the modern POS systems for restaurants you can take your payment terminal to the customer. These are clever tablet-based solutions, that allow you to use a tablet computer as a payment terminal. They are not expensive, very versatile and allow your team to take electronic payments at the table. Imagine how much time that will save you over having customers wait to pay by cash. Of course, you are concerned about the cost of these fancy POS and card reading solutions; we can assure you that you don’t need to be, as there are some very affordable packages available at Merchant Account Solutions. They are the leading name in the business in the USA and they have many satisfied clients who use their systems all the time. They have competitive rates and also deal in bespoke business management systems, so you can talk to them about any problems or questions you may have. If you want to bring your payment solutions into the 21st century, MerchantAccountSolutions.com are certainly the people to talk to, as they have the most experienced team in the business, and a wide range of products and solutions that will bring you bang up to date very quickly. You will find their team to be friendly, approachable and knowledgeable, and whatever industry you are in, they are certain to have a solution that suits you. If you are running a restaurant, and are not taking card payments, be assured that you could be losing out on business; people like convenience and don’t like to stand around waiting to pay, so taking the payment terminal to them is the best way to enhance the experience for both parties. Why not talk to Merchant Account Solutions right now, or take a look at their website for more information on the very best in POS and payment solutions available today. It could be the best decision you make. How being a head chef is much more than cooking. The route to becoming a head chef and the options once established along with possible further abilities needed. If you are interested in forging a career as a head chef, it’s worth bearing in mind that there’s much to consider and become proficient at beyond creating wonderful dishes with your ‘signature’ culinary techniques. It’s a rewarding career and, thanks to the rise of the celebrity chef and more venues such as pubs offering not just food but dining of a high standard, it’s becoming a very popular choice amongst younger creative people. If the allure of becoming a head chef extends beyond working in a top restaurant or hotel kitchen to maybe running your own restaurant or gastro pub, then you’ll eventually find yourself acquiring all sorts of other skills. There is more to being a chef than just creating mouthwatering dishes for your diners. Head chefs are usually also responsible for the management of the kitchen, including ordering food, hiring staff and ensuring that all the required documents are in place, such as health & safety certificates, employer liability insurance, and public liability insurance, both of which are absolutely vital in a restaurant, or any other food serving establishment. Employer liability insurance is a legal requirement for any business that employs staff, even if they are temp workers or casual staff. It’s possible to totally learn ‘on the job’ by getting work in a hotel or restaurant, although taking a formal route to start with is often advised. These are the basic steps to take. With the best will in the world, you could learn some bad habits if taking the ‘on the job’ route. A trained musician may deliberately go against the grain of their formal training to create some great music, but they know what the rules are first before breaking them. Likewise, if you have a basis of formal training there’s nothing to stop you ‘doing your own thing’ to create delicious food once you know what the ‘rules’ are. Usually studied over three years, the Professional Chef Diploma is at three NVQ levels and is highly regarded within the industry and, as such, is likely to be a big help in your getting a start in a job somewhere once you’ve completed it. You’ll need to fully commit to this path; universities and colleges will look for true passion for the industry as the course is three intensive years including time spent working in actual restaurants and kitchens. Beyond this there’s the Advanced Chef Diploma; this is run on a day release basis and would be taken once you’re working within the industry as it’s designed to enhance knowledge and abilities. You may be interested in studying more generalised hospitality and management with a view to running a restaurant from a commercial perspective, and maybe opening your own not as the actual ‘keynote’ chef yourself but as an owner employing a head chef and other staff. If so, a BTEC National Diploma Certificate in hospitality supervision may be a route worth considering. You may find yourself eventually controlling other chefs and thus taking a management or at least a supervisory role within the organisation you’re working for. You could be working with trainee chefs along with more experienced people and be involved in recruiting and training. Personal skills and a knowledge of the procedures required when handling staff could be required, so be prepared for more learning. Maybe your role will evolve more into the general management and business side of the operation, so assessing ordering requirements for food stock and related items may be part of your job. Therefore, an awareness of budgets and order planning might be required. You may eventually open your own restaurant or go into partnership with others in a venture such as a hotel or other hospitality-related establishment. If so, and your business isn’t initially (or ever likely to be) large enough to hire a manager, you’ll be looking after everything from the petty cash to ordering toilet requisites. Naturally, marketing will be a key skill to learn so you’ll likely need to become ‘web savvy’ so as to take advantage of the way you can promote yourself online and make your market aware of who you are and what you offer. Therefore, online promotion and advertising knowledge will be important as will the most effective use of social media. Book keeping and basic accounts will be a core skill. You’ll likely want or likely need an accountant or at least a professional book keeper, but you’ll need at least some knowledge of this topic to understand the finances of your business. It’s an interesting and exciting proposition becoming a head chef as your career could take you in various different directions. One thing is more than likely, you’ll probably need more skills and abilities than just the ability to wow local and national restaurant and food critics. Some people love the smell of coffee in the morning. Some even like waking up to the whiff of bacon and eggs. Not I though thanks to one breakfast on holiday that I will never forget. So I was in Las Vegas on holiday and after a big night out on the town I woke up feeling not my usual 100%. And in between pottering around different places on Fremont Street to figure out what to have for my brekkie, I stumbled across a diner like spot inside the El Cortez hotel called Café Cortez (it’s sadly closed down now but that’s another story). I straddled up to a seat and asked what was good for breakfast. The server asked what I liked. I of course said bacon and to my surprise she said “Oh, you’ll want the breakfast burger then”. And it was a sight to behold. A burger patty bigger than my head with strips of crispy bacon on top and enough fries that it’s not embarrassing if you hand back a plate still with a mini mountain of fries on the side. Las Vegas is an amazing city for burger lovers (especially if you love bacon in there) so I decided to compile a list of the best places to go for a burger when you’re lucky enough to be on holiday there. The flight to Las Vegas can be a long one, especially when you’re hungry. My mind was on one thing upon landing at McCarran; I had to finally get to Wahlburgers. This is a very popular chain in the States that is owned by the family of Hollywood actor Mark Wahlberg, hence the name. I’ve been watching their TV show about the restaurant chain for a few years now and I always wanted to try their Sloppy Joe. It’s a burger you don’t really get at home in the UK but it’s basically a burger all mushed up instead of served as a patty with tobacco style onions on top. It’s very messy and oh so delicious, especially after airplane food so except to get at least some tomato sauce stains on your clothes. Not all fast food burgers are created equal. In-N-Out has legendary status on the West coast of America for being more than a notch above their competitors. Their burgers are just little more expensive but are worth seeking out. The closest to all the action is just at the bottom of the strip up the road from New York New York. In true American style it’s a road site burger joint that is inconveniently behind one of the busiest motorway junctions in the city so if you really want one, hop in a taxi and tell the driver to take you to the one by the University of Nevada. You can have am animal style burger and then take a short jaunt around the corner to the Pinball Hall Of Fame; an actual museum full of pinball machines you can play. If you are staying in Downtown or visiting Fremont Street, you’ll walk by the famous Heart Attack Grill that serves calorific meals that are honestly just a bit too much. Watching people inside tackling burgers and pizzas the likes of which you’d usually only see on Man V Food feels like watching animals at the zoo. If you love a good food challenge then by all means go for it, but if you prefer a well-made burger over shock value, nip a block over to a place called Glutton. It has that typical laidback American bar feel that is sometimes missing in Vegas. I went for lunch one day and had their Glutton burger (with bacon of course) and duck fat chips that are served like garlic potatoes. Prefer to get your burger somewhere a little fancier? Well there are a few high-end spots on the famous Vegas Strip that try to make burgers look more posh than an M&S ad. Famous chefs such as Gordon Ramsay and Wolfgang Puck have burger only restaurants in hotels like Planet Hollywood and the MGM Grand, but I dined out in style at Holsteins in the Uber trendy Cosmopolitan Hotel. Burgers are on average $20 if that gives any indication of how high end we’re talking. I had The Rising Sun which was an Asian inspired burger with teriyaki glaze and tempura avocado with The Fat Boy Milkshake ($15) that had candy flavoured vodka, Reese’s pieces, Oreo bits, Pretzels and candy floss on top. It was a meat and sugar coma I was happy to be a part of. Now these are just a few of the many amazing spots to eat in Las Vegas when you want a nice burger. There are other foods too like the unbelievable BBQ i had at Big Ern’s in the Container Park and the super healthy Hula Bowl at Bowlology (because you can’t go too crazy with your diet on holiday) but if you just want a tried and trusted, proper American burger, these are the places to go. And if you’re thinking of booking that dream holiday to Las Vegas anytime soon, have a look online for a discount code for Thomson as they run special deals for holidays to the States. Let’s face it, if you’re a bacon lover you have probably come across a time or two in your life where you overdid it and ate too much. While bacon is delicious and can be healthy when sourced from free-range, organic pigs, sometimes it can be a lot of fat and cholesterol. The human body was meant to consume a variety of foods and when we binge on a little bacon hangover it may not be the end of the world, but there are some things we can do to remedy the fallout. This article will focus specifically on how to use supplements to recover from eating too much bacon (or any other unhealthy food). We’re going to show you a few habits, tips, and reminders to keep in mind (along with a few biohacks!) that help you stay on track at work even when you’ve eaten too much delicious bacon. Activated Charcoal – consuming charcoal probably doesn’t sound like a good idea, but there is plenty of evidence to indicate activated charcoal (in capsule form) can help to absorb toxins from the food that we eat. People who are gluten intolerant often find activated charcoal to be a way of preventing most of the side effects. Butter Coffee – sometimes the only way to counteract too much fat is a little bit more! Combining butter and coffee with coconut oil (or MCT oil) can allow you to get a boost of focused energy. The best part about combining bacon with coffee is that fat makes the caffeine absorb more efficiently. Now you can take your bacon hangover and make it into a positive! Water – drinking a lot of water is going to be key if you are experiencing a bacon hangover. Like a regular alcohol hangover, bacon can contribute to dehydration (the body requires a lot of water to breakdown fats). Just drink a few liters of water and you should be good to go. Nootropics – if you’ve never heard of nootropics, they are supplements that can help aid in cognitive function. Particularly, nootropics are useful for helping to improve memory formation, help with focus and concentration, and a host of other benefits. One of the main benefits is to prevent cognitive decline from chemicals in the body! A famous nootropic is called Alpha Brain and is mentioned on Joe Rogan’s podcast often. Any good Alpha Brain review will give you details about what you can expect. It might sound odd to consider a bacon hangover, but if you have never had this experience you must not truly love bacon enough. Too much of anything can be a bad thing even if it is something as delicious as bacon. We’ve provided a few tips and tricks that you can use so you don’t feel your day is disrupted when you’ve eaten too much.